Mexico and the United States share the greatest border between the first and third world. Thousands of migrants expose themselves to every danger as they travel north on a train called The Beast. 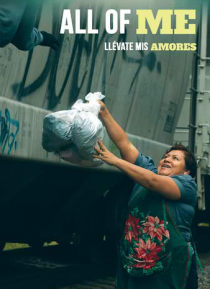 That's where they meet the Patronas, a group of Mexican women who, every day since 1995, make food and toss it to the helpless as the train rushes by. In the midst of a country at war in a world where all… hope seems lost, the Patronas breathe life into a human value that seems fading with each day: love for one another.